Ron Jeffries posted a provoking article about why sectionalism in the Agile world is stupid. I can’t say I disagree. I’d add that Ron’s opinion is a matter of perspective. I remember when I first became involved in the Agile community and received my cruiserweight championship belt, known as my Certified Scrum Master certificate. I needed brands and models at that time to make sense of this new ecosystem I was entering. I added my new fangled credentials to my email signature, updated my resume and was proud of it. Heck, after I became “certified” I still asked my instructor if Scrum says we’re suppose to estimate bugs or not. Now I realize how stupid, to me, that question is. Ron points out that sectionalism is all about selling, and as a consultant, I’d agree with that. The thought-leaders in the Agile world don’t need gimmicks and labels and brands to make a living. They can sell based on their name because they’ve earned it. Make no mistake, selling yourself and your brand isn’t a bad thing. Well, unless you exploit a lightening talk at an open space to schlep your products. That’s a bit douchy in my book. My objection to sectionalism is due to Methodology bigots. Darryl Conner describes what this means, but I’m guessing you’ve got the gist of it already. He states that people latch on to other people who share the same set of beliefs and consider others who don’t share those believes as second rate consultants. If you’ve seen some of the awesome “kanban vs agile” flame wars on twitter, you’ll understand that! GO ahead and tweet “@jasonlittle said kanban is nothing more than waterfall with sticky notes on the wall“, grab some popcorn and watch the show! We are all biased towards what we believe is the best method, tool or practice. Some people try not to be, but we all are. I subscribe to the ideas in Patrick Lencioni’s book, Getting Naked. I focus on helping people learn how to solve their own business problems with respect to managing work and people by doing real work with them before I try to sell anything. 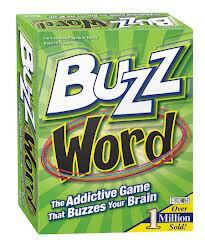 That said, playing buzzword bingo with a new client can be helpful for them to make sense of the situation they’re in. It’s all about your style and your schtick for how you sell yourself. Some clients want to be sold Scrum. Some want to be sold solutions and, in the case of one of the clients I’m working with now, they want help figuring out what will help them deliver more frequently. Of course, I am selling something too. I’m selling Lean Change Management (LCM) and yes I’m mentioning that intentionally. Douchy? I’m sure I’ll hear about it in the comments. LCM is my way of abstracting out methods and models to help people learn how to build their own approach to managing change. Yes, the irony is not lost on me. I find it helpful to expose people to many ideas from many communities and most of my clients find it helpful. Although sometimes it frustrates them because they just want a straight answer, not the “it depends” answer. As Ron points out, all of these ideas work together but it takes a lot of experience and experiments to figure out why they do and how to make them work together. In the earlyu stages of learning, you don’t know what you don’t know. He does believe it’s not going to change. I don’t think it will either, nor do I think it should. I believe models, brands and labels are how we make sense of our surroundings. Brands help people who are looking for a solution understand there is a “thing” out there. I believe it’s reassuring for people and that it reduces the stress caused by uncertainty. Brands provoke an emotional response so I see no harm in all the various Agile brands out there because all of them are nothing more than new interpretations and addtions to Deming’s PDCA cycle. That said, if your consultant is blindly pushing Kanban or Scrum or Methodology X, you’ve hired a methodology bigot. Fire them immediately and figure it out on your own. Or hire me! Yes, always be selling yourself and your brands. Those that are intrigued with buzzword bingo will hire you or buy your framework because it invokes a feeling in them that resonates with their beliefs. Don’t worry, there will be plenty of people that will tell you everything that is wrong with your brand and your beliefs. To expand on the ‘brands help assure customers that there’s a thing out there’: This is why branding exists in any space. It says that this is not just some randomness thought up by anonymous weirdos: it has been used before in similar situations, and there are individuals/organisations who are prepared to stand behind it and stake their reputations on saying “yes, it’s good for the kind of needs you have, for people like you”. This is how (for example) XP goes from the legendary “who is this idiot talking rubbish” 1-star review on Amazon to being considered standard practise. It’s the same as film criticism – I’ll take the word of Dr Mark Kermode over *any* anonymous online commenter because he stands behind his review, and while you may not agree with his critical judgement, you know he stands behind it, has the professionalism to have actually seen the film and would happily repeat his review to the face of the film maker even if it earned him a punch in the nose. Brands also assure you of consistency: while customisation can and should happen, it means you have a common starting point and base set of assumptions. Unless you’ve changed it to the point of no longer being recognisable, if your Scrum Master falls under a bus, or you need to take on a new BA, when they walk in the door of your Scrum team on the first day, they’ll be able to understand and drop into the “how” pretty quickly, allowing them to focus on the “what” of your delivery during their induction and get to productivity much much faster. And if you’re recruiting someone into those roles, seeing that your candidate has experience and knowledge of core Scrum reduces the risk hugely that they’re going to come in and break what you already have. Thus even certification is useful. So while I’m completely supportive of Ron’s argument that methods can and should play together depending on the organisational needs, branding what those methods are is very useful and powerful to customers as well as vendors. Thanks for the comment. I think people generally understand what to expect becuase of, say, the Scrum brand but I haven’t seen any team implement it in the same way. I don’t think people outside of the coaching/consulting world really care about the scrum vs kanban debates anyway. They want to find practices that work, the “inventors” of these brands are the folks that tend to get their knickers in a twist about it. Your term “Methodology bigots” resonates with me deeply! I have been using the term “Zealots” for years to describe this. That being said, it’s not all that long ago I was a “Methodology bigot”, and I would argue that is almost a necessary first step on a much longer path. Basically the same point you are making here, as long as these brands are moving us in the right direction, that’s what is important. Thanks Jeff. I think many of us start out as a methodology bigot…I know I was a “Scrum guy” when I started out because that’s what I knew. Unfortunately others don’t mature and hold fast to their beliefs, at the expense of their clients.